Is Being Human A Disaster? R.J. Rushdoony: 00:01 Is being human a disaster? This is R.J. Rushdoony with a report on our threatened freedom. R.J. Rushdoony: 00:44 What then are we to do? What is the author’s answer? Two sentences sum it up. I quote, “As long as you breathe you must breathe. One should always be joyous.” Well, this is better counsel than the suicidal verdicts of others, but still none too good. If life has no meaning and being human is a disaster why then breathe? And what is there to be joyous about? R.J. Rushdoony: 01:17 I am inclined to think that they who claim that God is dead and life is meaningless are like the modern educators who, according to C.S. Lewis, geld a man and then bid him be fruitful. We can also compare it to chopping down a tree and then expecting a harvest from it next summer. As Richard Weaver told us some years ago, ideas have consequences. If we insist that being human is a disaster we shall certainly make ourselves into walking disasters and the world into a disaster area, which is what we have done. If we declare that God is dead, and His moral law dead also, should we be surprised if we are not soon like moral zombies, the living dead? 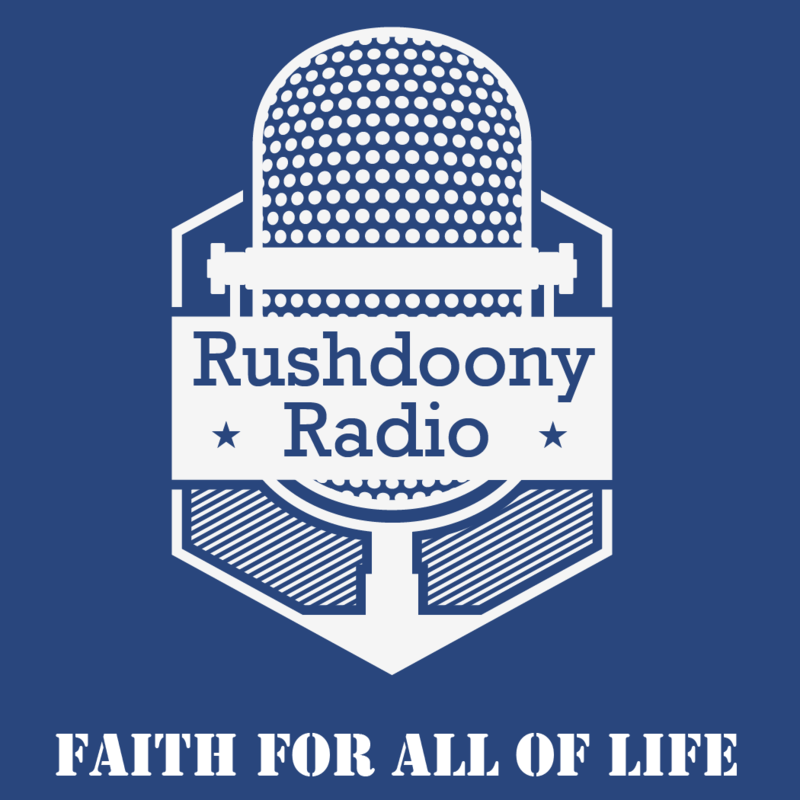 R.J. Rushdoony: 02:03 In terms of material benefits, conveniences of living, life expectancy, educational possibilities, and much, much more, man has never been better off than we in this country are today, but in terms of faith, morality and law we are a disaster. Even [inaudible 00:02:25] too many people view today and tomorrow with little or no hope. Now hope is one of the greatest psychic nourishments and excitements possible for man. Without hope a man has no future. One of our most prolific industries today is the proclamation of hopelessness. Our press, literature and films all to often reek with a sense of hopelessness. Such people are insisting that the world is as small as they are. R.J. Rushdoony: 02:55 A popular book of a few years ago was titled very wisely, ‘Your God is Too Small’. A sequel could be written as to how small we have made our world by our thinking. The old days of Saturday movie serials, one frequent horror scene had the hero or heroine trapped in a cell with spiked walls which then began to close in on them. Too many of our contemporary authors write as though they were trapped and all mankind with them in a narrow cell with the walls closing in to destroy them, but don’t you believe it. This is still God’s world and freedom under God is our calling.